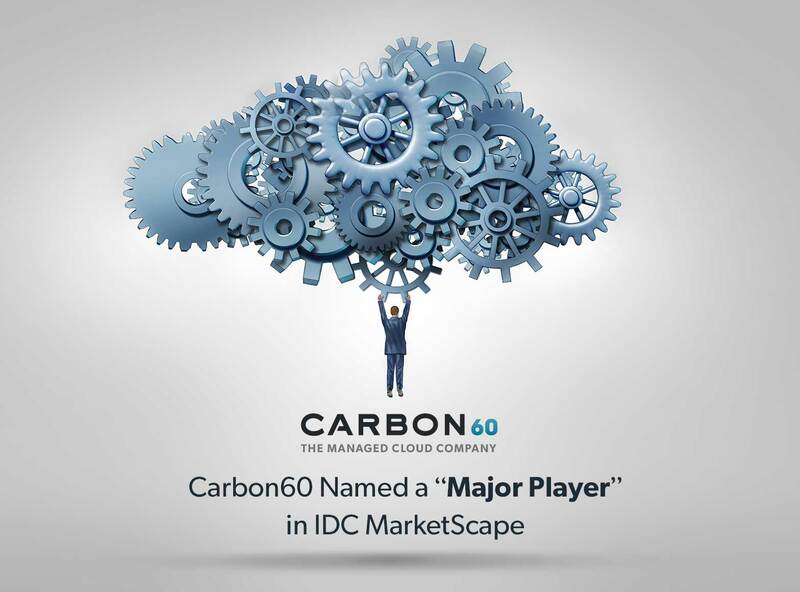 IDC MarketScape cites “Carbon60 is on the rise and a firm to watch”. Toronto, Canada, October 6, 2016 – Carbon60 Networks, a leading Managed Cloud Hosting Service provider in Canada, has been recognized as a Major Player in the IDC MarketScape: Canadian Data Centre Operations and Management 2016 Vendor Assessment (IDC #CA40622416, September 2016). The IDC MarketScape report states that Carbon60’s size provides it a unique, customer-centric approach to supporting clients and its expanding portfolio of application services positions Carbon60 for a larger percentage of spend from customers. Carbon60 Networks manages business-critical applications for customers across verticals including financial services, software, media and public sector. Carbon60 builds and manages secure cloud environments in the optimal model for customers using Carbon60’s managed private clouds in Canada or combined with managed Microsoft Azure with multi-cloud scenarios for a fully managed hybrid cloud service. Carbon60’s expertise in managing multi-cloud platforms enables medium to large organizations to outsource their IT infrastructure so they can focus internal resources on core business applications and innovation.